Buying property to let has become big business in Britain during this century. Low interest rates made mortgages more affordable for buy to let, and rental income has seemed attractive compared with what you could earn on other investments. However following the credit crunch lenders have tightened up their lending requirements considerably. The main difference with a buy to let mortgage is that the lender can take account of the rent you will earn, as well as your income from your job. Some lenders allow you to add the rent to your salary while others base the loan entirely on rent. Any mortgage you have on your own home would cut the amount you can borrow under the buy-to-let scheme. What are the borrowing rules? How much you can borrow depends on the lender, but the maximum ranges from £100,000 to £1m per property, and the most lenders will lend has traditionally been 85% of the property price. This means you need a deposit of at least 15% and deals become more competitive if you can put down more. As the credit crunch has started to bite lenders have required high deposits and introduced large arrangement fees. A lender will also take into account how much money you earn on the property. The formula varies but as a rule the rental income should be between 125% to 150% of the mortgage payment. So if your monthly repayments are £500, the income you should be £625 and £750. Most lenders now require a minimum basic income of at least £25,000 p.a. How much will the Mortgage cost? Buy to let mortgages are generally slightly more expensive than ordinary home loans so expect to pay more than on your residential mortgage. These days they have high arrangement fees so should be considered as a long term investment. 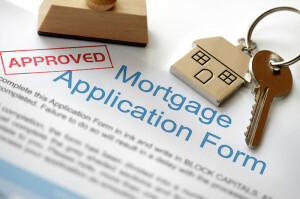 Some lenders will also set rules on multiple properties, only accepting people with, say, three or five BTL mortgages. Some may also set an an upper limit on the overall amount you can borrow. Rental Income – will be treated as income and taxed in line with your basic or higher-rate tax bands. You will, however, be able to offset mortgage interest payments, letting agency costs and maintenance expenses against the taxable rental income. This makes it more tax-efficient to have a mortgage on your investment property rather than your main home where you can no longer get tax relief on your mortgage. Capital gains – will be subject to capital gains tax when you sell your buy to let property. Capital gains tax will be levied at a rate of 18% or 28% (depending upon which tax band you are) on the difference between the acquisition price and sale price after deducting your capital gains tax allowance and any expenses of sale and purchase. You should also remember that buy-to-let mortgages are not regulated by the Financial Conduct Authority in the same way traditional home loans are now controlled. This means buy-to-let lenders do not have follow such strict rules on how they sell, promote and advertise their deals.